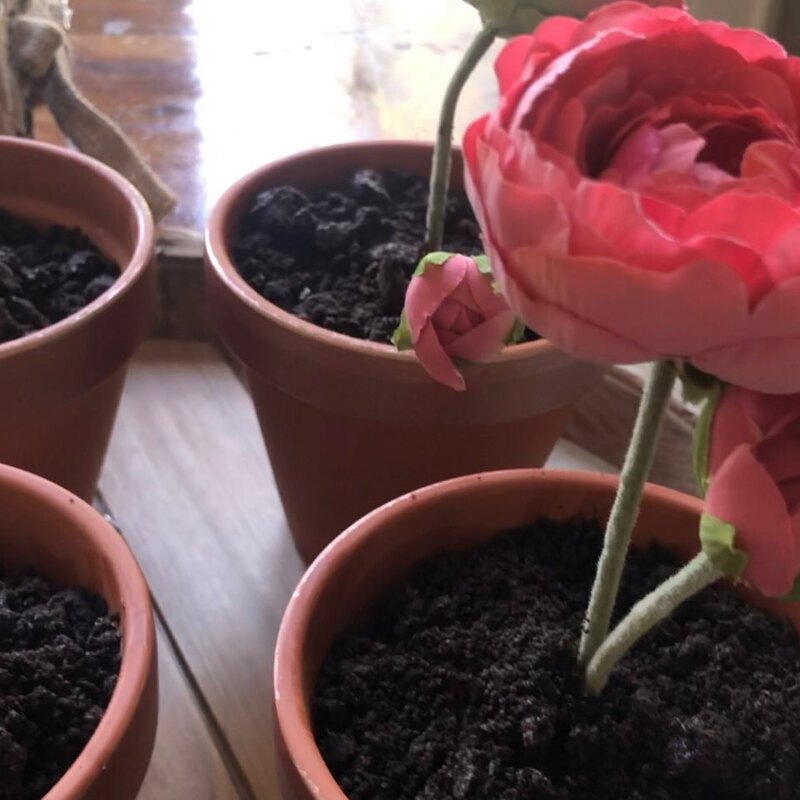 Learn how to make these adorable edible flower pot desserts. 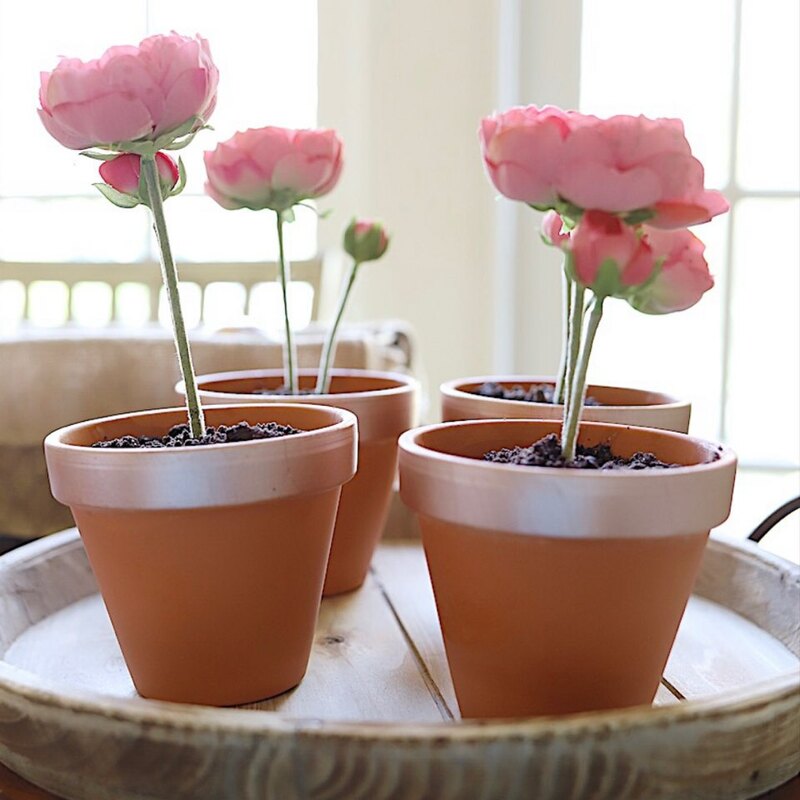 They look like real flower pots and you will surprise your guests when you start eating one. Perfect for a kids birthday party! Want to see more great how-to videos? Try the new JOANN app. 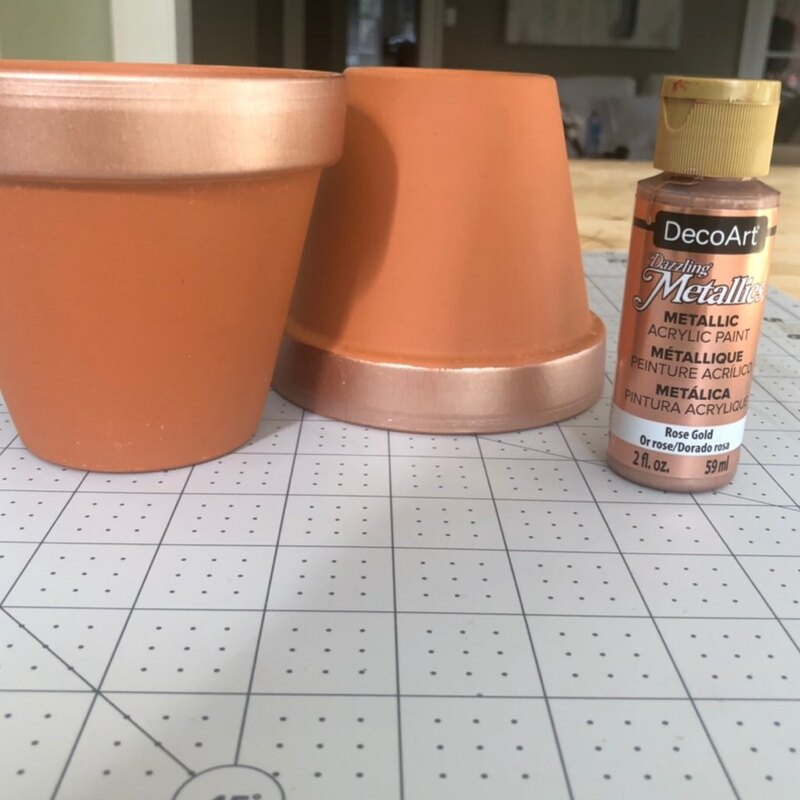 Using acrylic paint, paint the rims of the terra-cotta pots. and place tightly in the bottom of each pot. 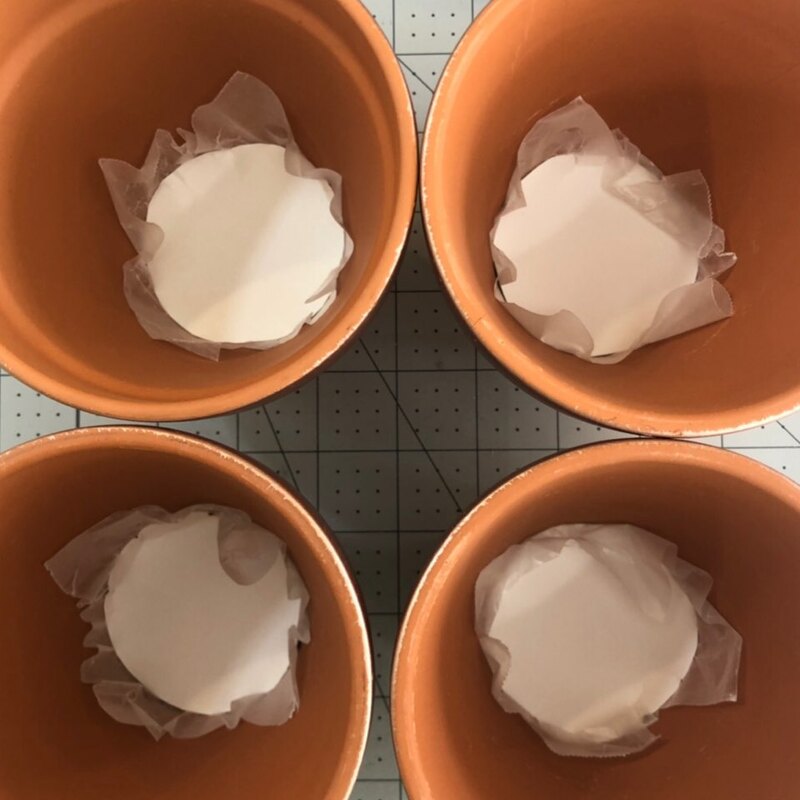 Cut enough straws so that they are about 1” lower than the top of the pot. 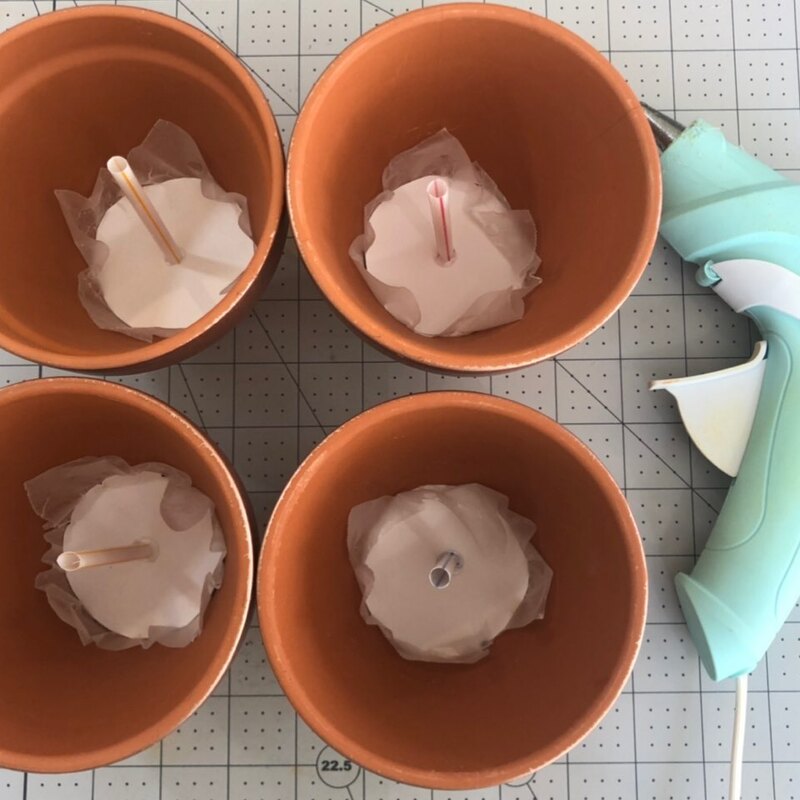 Using a hot glue gun, attach a straw to each pot. The straw will hold up each flower. Carefully fill each pot with ice cream. 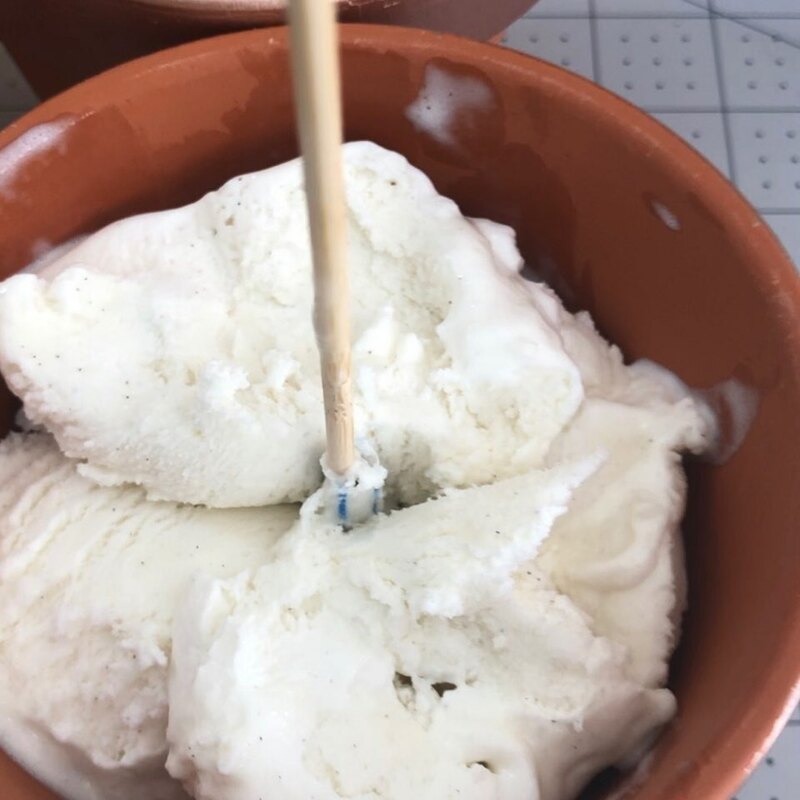 You may want to put a wooden skewer in each straw to prevent it from filling up with ice cream. 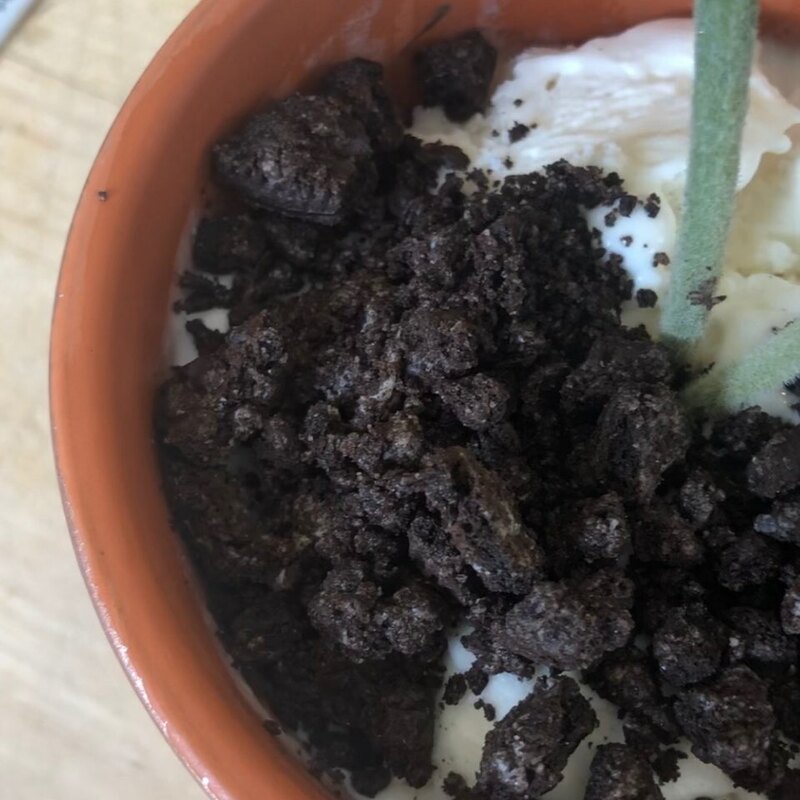 Next, sprinkle the crushed Oreos to cover the ice cream. 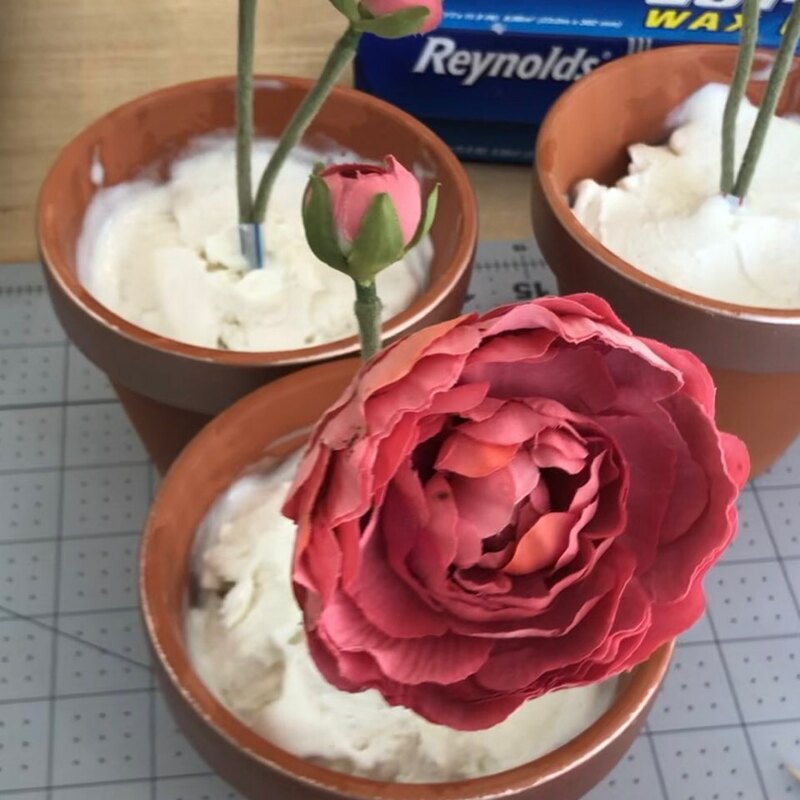 Carefully insert the faux flowers in to each stem. Place in the freezer until ready to serve. Join the JOANN community and explore how-to projects or create your own. Get exclusive coupons and deals, and manage your shopping list on the go. © 2007-2017 JO-ANN STORES, LLC. 5555 DARROW RD. HUDSON, OH 44236 UNITED STATES. All rights reserved. JOANN.COM® is a registered trademark of Jo-Ann Stores, LLC.